So while everyone West of the English Channel has known how to pronounce authors' names since about a week ago, that volcanic cloud has meant this vital information - AND incidentally my paper copy of New Books in German and my birthday present from my sister - got stuck somewhere on the way to continental Europe, and only hit Facebook today (unlike NBG and my present). 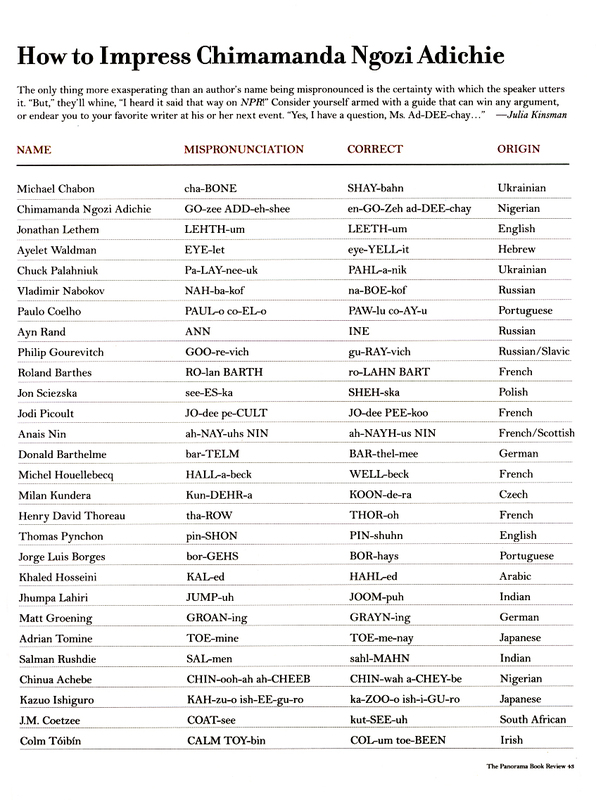 But that's OK. Because most of the time, it's easy as pie to pronounce German writers' names. I will now reveal to you the secret of German pronunciation, which I stumbled upon by chance at the tender age of thirteen. I have never looked back since. May it help you live a fulfilling and virtuous life. All you have to do is pretend to come from the North of England, and have taken your teeth out. Newcastle or Redcar or somewhere like that. Yes, it's as simple as that. Just pronounce your vowels the Northerner way, and makes all your Ss a bit shhh-y. So it's not Günter Grarse, it's Günter soddin' Grass. And it's not Rainer Maria Rielk-ie, it's Rainer Maria Rillk-uh. Not Go-the, Goert-uh. Not Thomas Maann like a sissy Southener, Thomas Man, as in "strapping young man". Pretend to be Alan Bennett. Without the jowls. And Zaimoglu is pronounced Sy-MOW-loo. I think. And Drvenkar is JVEN-car. And Özdogan is a bit like ES-dow-an. My name - in case you'd been wondering - is a whole different kettle of fish and is pronounced in true unfathomable British style: DAR-bi-shah. If you're trying to find East Goethe Street in Downtown Chicago, be sure to say Go-Thee Street, otherwise you'll never get there. Or else ask for "that street one block south from Schiller Street". Erika Fuchs Museum - or is it a "duck"?